Donate - Pregnancy Assistance Inc. Perth WA Pregnancy Assistance Inc.
BASSINETS always in need please ! Are you looking for a good home for the bassinet you used for your precious (now grown-up) children? Good quality, used bassinets literally fly out of our doors! Pop round to 195 Lord Street, East Perth any time Mon to Fri between 10am & 3pm and our kettle is always ready so we can share a cup of tea. THANKS!! Thank you for supporting us to continually achieve our principal objective - "To provide relief of poverty, suffering, distress, misfortune, destitution, or helplessness for pregnant women of all sections of the public irrespective of religion, race, demographic or personal values. " 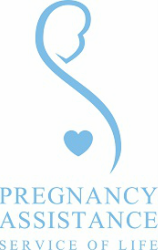 Pregnancy Assistance Inc. solely relies on private donations. We are an ACNC registered charity and all monetary donations above $2 are fully tax deductible. Your generous support gives life and changes lives for the better. If you would like to support our free service you can do so by clicking the donate button below. You will be led through a series of simple steps so that you can make a secure payment via PayPal or credit card. Alternatively you can make a direct payment. All donations are receipted tax deductible. As we have limited storage space, we focus on collecting only the basic goods needed from birth - 12 months. Car seats (Baby Capsule). Has to have the Australian Standard Sticker AS/NZS 1754 and must be less than 10 years old.